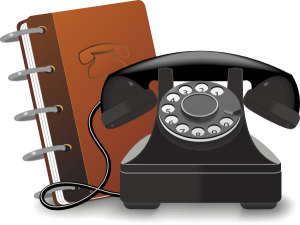 Third-year students (and not only) are invited to attend the Language Education Club where we’re going to tackle some of the issues related to the planning process. Astăzi, 28.03.2019, a fost organizat evenimentul „O carte pentru Tine! 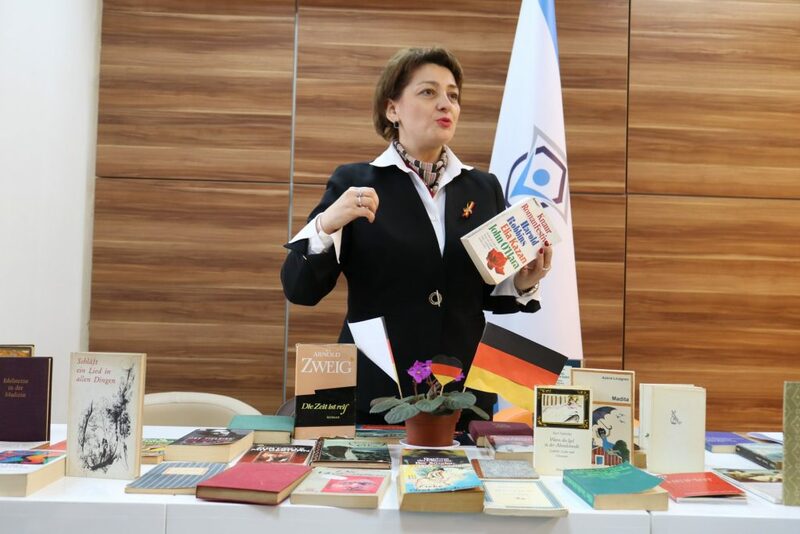 Ein Buch für Dich!“ În persoana Dnei Oxana Chira, gazda acestui eveniment, cei dornici de lectură au avut șansa de a-și completa biblioteca cu o carte în limba germană. Gestul, mai mult decât generos, de a oferi o carte gratis din biblioteca personală i-a impresionat pe studenți, motivându-i să citească în acest secol „virtual”. 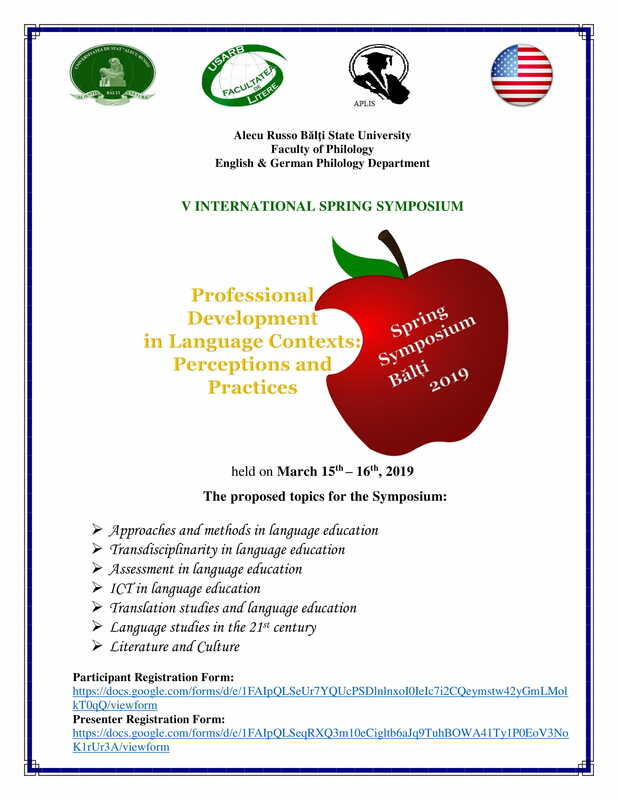 ‘The yearly spring symposium organized by the English and German Philology Department from Alecu Russo Bălți State University, in collaboration with the Association of Teachers of Foreign Languages and English Resource Center from Bălți, is a two-day event that aims to bring together professionals from Moldova and abroad to discuss new concepts, trends and developments in Language Education (hereafter, LE). The Symposium program will be structured in 3 plenary sessions, 5 concurrent sessions, and 12 workshops. 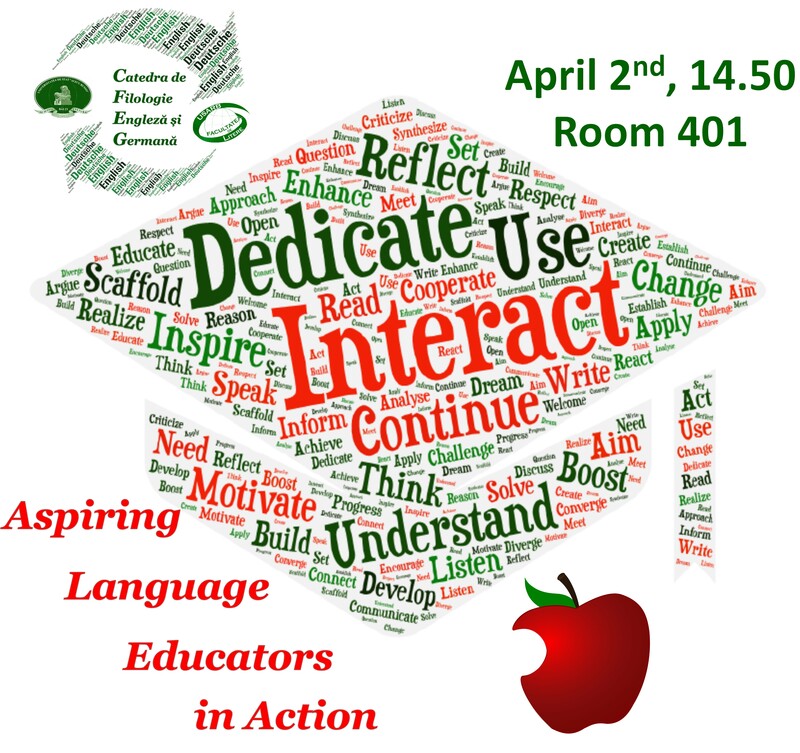 The oral and visual presentations will address the current issues in LE, whereas the workshops will raise the participants’ awareness of new techniques in LE by engaging them in various interactive activities. We are thankful to the US Embassy Public Affairs Section for the generous support in organizing the Symposium. We would also like to thank the administration of Alecu Russo Bălți State University (hereafter, USARB) for their continuous engagement to sustain our efforts in organizing the Symposium. 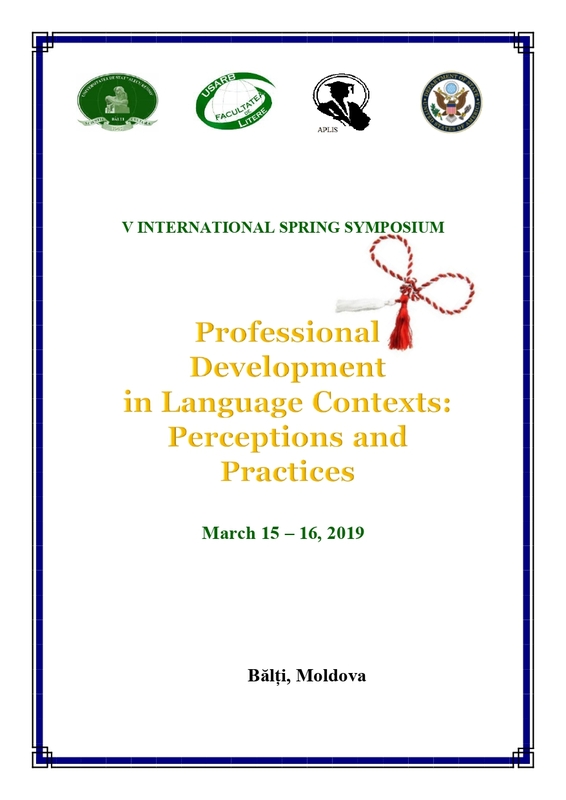 Dupa va rog sa scrieti: The V International Symposium program can be downloaded here. This semester, USARB hosted the English Language Festival, which involved participants from 6 northern regions and students of the English Department. 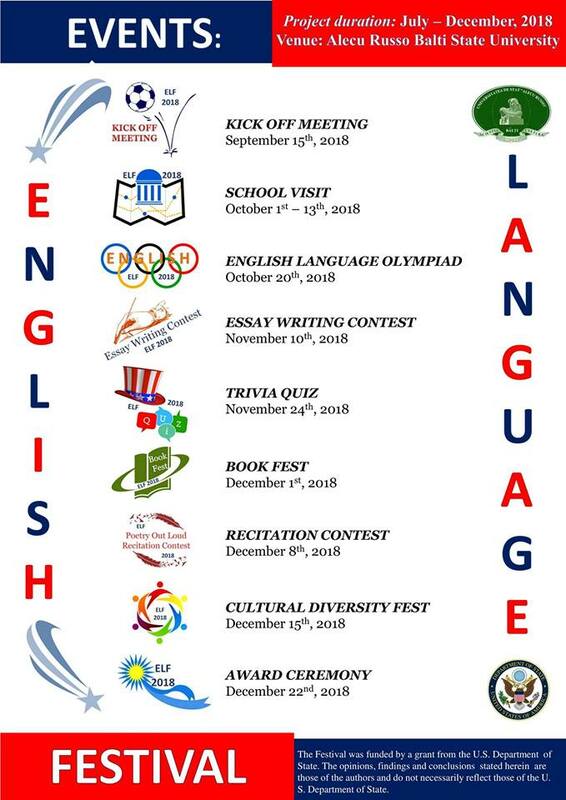 The English Language Festival is a communication platform for learners of the English language in the northern part of Moldova. The Festival provided for a series of events that offered challenges for both high school pupils and university students. Thus, pupils had the opportunity to get acquainted with USARB, to make new friends and to try their skills and luck in a series of contests. At the same time, students of USARB actively helped them to prepare for the performances and quizzes. One of the most important challenges, faced by USARB students, was their visit to the schools involved in the project. Thus, in the period of 1-13 October, students had a very important mission – to help the English teachers from schools targeted by the project prepare their pupils for the activities of the Festival. It was their first acquaintance with a teacher’s job. Their main objective was to establish a reliable connection with schools and help pupils prepare for the Trivia Quiz and Cultural Diversity Fest. Thus, Lidia Hodacova (SE36), Natalia Darie (FE35) and VasilicaOrac (GE34) went to D. Cantemir and Suhomlinski Lyceums in Edineț. The girls worked together with the teachers of English Natalia Șevciuc and Lilia Gladchih. This collaboration turned out very effective, as the team they trained won two main prizes in the Festival – the First Prize in the Trivia Quiz and the Excellence Award in the Cultural Diversity Fest. Ostaf Anastasia and Chifac Marina (EG34) helped the team of C. Stere Lyceum, Soroca. This team won the prize for the best hand-made cultural symbols. Răilean Iulia and LisnicMarionela (ES 34) travelled to Florești, M. Eminescu Lyceum. Their team won the award for the best musical performance. Postolachi Cristina and Victoria Cebotari visited the lyceum in Căzănești, Telenești district. MihaelaBejireanu and Chilaru Victoria helped the teacher of Olimp Lyceum in Sîngerei, Mrs. Lucia Bursuc, prepare the pupils for the activities of the project. That was the students’ first teaching experience, which left an unforgettable impression in their minds. These students turned out to be very good at planning and organizing the events. The Festival also provided for such contests as the English Language Olympiad, the Essay Writing Contest, the Poetry Out Recitation Contest, Trivia Quiz and Cultural Diversity Fest. Surprisingly, the contests drew a large number of participants from Bălți and from the regions targeted by the Project. Thus, the English Language Olympiad gathered 86 participants, the Essay Writing Contest – 70, the Poetry Recitation Contest – 37. Considering the number of participants, we can conclude that the competition was rather tough, requiring advanced linguistic, writing, speaking, recitation and cultural competences. In all of these activities, the students worked together with high school pupils and their teachers. Thus, both Trivia Quiz and Cultural Diversity Fest required a close collaboration and lots of communication and hard work to get ready and make a good performance. The Festival helped students, pupils and teachers make new friends, learn new things, share their experience and most importantly, communicate using English. The activities planned within the project were carefully planned and carried out by LudmilaRăciula, Diana Mirca, VioricaCondrat, Silvia Bogdan, Mikaela Țaulean, Iulia Ignatiuc, all of them teachers of English at the English and German Philology Department. Throughout the project, we actively collaborated with high school teachers from six northern regions: Soroca, Florești, Edineț, Sîngerei and Bălți. The regional project English Language Festival in the Northern Part of Moldova was implemented by the English language teachers of USARB in collaboration with the Departments of Education of Bălți, Sîngerei, Edineț, Soroca, Florești and Telenești and was possible due to the financial support of the US Embassy in Moldova.